Comar Architectural Aluminium System is pleased to announce their Comar 7 Commercial Door has passed LPS 1175 SR 2 and the new security standard BS EN 1627 Class 3. BS EN 1627 is the new European security standard that has recently been ratified by all member states. 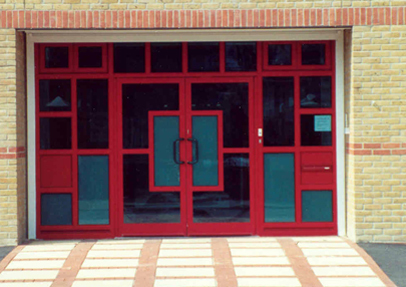 Achieving EN 1627 to Class 3 for aluminium door sets, offers optimum security and ensures that Comar 7 door sets meet the very latest security demands. These security standards ensure that in commercial applications, as far as is reasonable, the security features are tamper resistant on the non attack side from tools such as soft body impactors, screwdrivers, knives or glass cutters. These tools will have been selected for testing in order to stimulate an opportunist attack. The main purpose of this standard is to evaluate the resistance to burglary offered by physical security products. All in situ hardware, such as lock and hinges, as well as any product which comprises an opening element and a frame or retaining sides, is tested, then the element and its frame or guides is tested as a combination in locked position. The standard also makes provision to test the adequacy of the installation method.